0,000? Yeah, right! I'm guessing that's the three-day attendance figure. Last weekend's Turkish Grand Prix was something of a disappointment, paying-punter-wise, especially when you bear in mind that a pre-season Barcelona test can get significantly more footfall. It brings into sharp focus the way Formula 1 is heading, with ever more races planned in purpose-built 'Tilkedromes' in 'emerging markets' worldwide. Don't get me wrong. I'm not one of the many detractors of Bernie's perennially busy track designer: Istanbul Park is surely his best creation yet. But next time, say, someone suggests hosting a grand prix in London, let's just hope they don't build the circuit in Swindon! Of course, the whole point here is that at such venues the paying guests are not really what's important any more. Instead the governments, planners, designers, circuit owners and promoters are hungry to bask in the reflected glory as images of their shiny new circuits are beamed to television sets around the globe. They feel that at last they’ve joined the ranks of the global players. 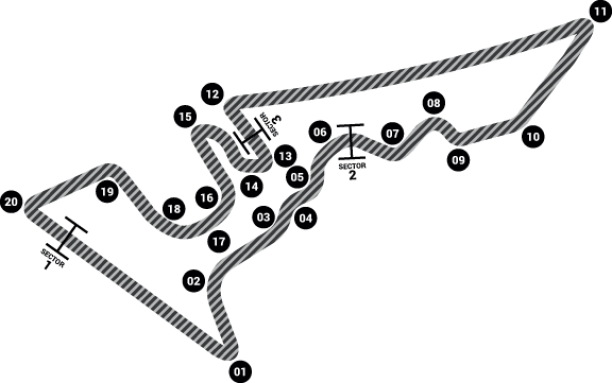 At Istanbul Park someone – possibly Herr Tilke himself – has considered the visual impact of the empty grandstands. Firstly there aren’t many, and secondly when the seats are unoccupied their ‘flame effect’ colours make a good backdrop for a panning shot. You won’t see this on the TV, though, because the directors seem to be under instructions not to show empty or part-occupied grandstands. With new races planned in the Middle East and Asia (with Russia surely soon to follow), Formula 1 is busy making its mark in these limelight-seeking territories. And as the more historic grands prix in Europe inevitably fall by the wayside, one just hopes the ridiculous amount of overly zealous security personnel employed at circuits these days start to do their jobs properly. Who knows – if they do, we might not have feral dogs putting the lives of racing drivers (to say nothing of their own) at serious risk. Please now click on 'Formula One' at the top of the page to enjoy my pictures from the 2008 Turkish Grand Prix.